Oh my gosh. 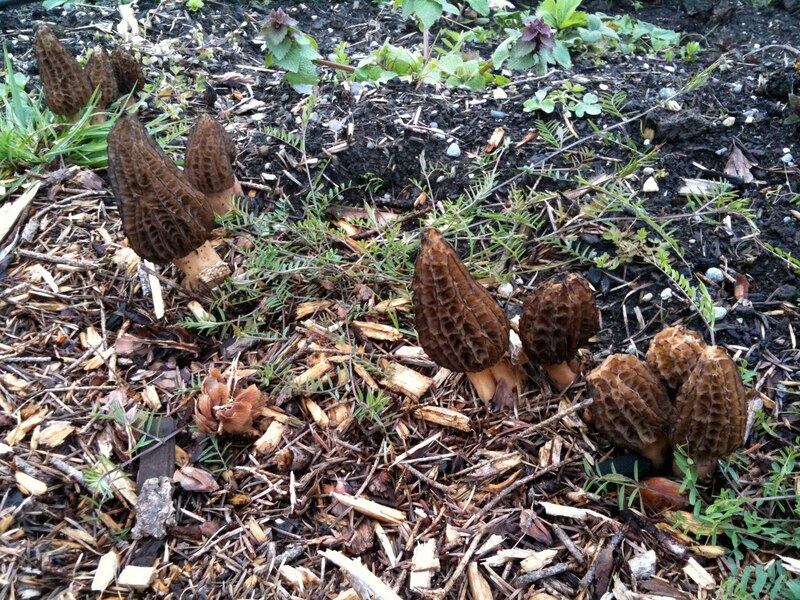 We have morels. We have HUNDREDS of morels. In the middle of our food forest. I was walking through checking our our potatoes in the ground and the buckets (ones in buckets are growing significantly faster, maybe warmer soil?) and I noticed these things popping up throughout our fruit tree guilds. Ignore the weeds in the nearby photo and take a look at those beautiful mushrooms. I now have a rival for what I am more excited about, the garlic versus the morels. Wow!